Graveside services for Mrs. Rebecca Fite Maxwell will be 11:00 A.M. Friday, May 18, 2018, at Cedar Grove Cemetery with Mike Petty officiating. Visitation Thursday 4-7 PM at Ligon & Bobo Funeral Home in Lebanon. Mrs. Maxwell, age 93 of Lebanon passed away Tuesday, May 15, 2018, at the Pavilion. 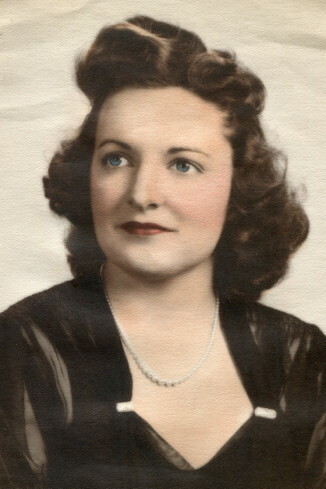 Born November 25, 1924, in Wilson County, she is the daughter of the late Charles W. and Lillie Gill Fite. She attended Commerce Elementary School and graduated from Watertown High School. She was a member of Commerce Cumberland Presbyterian Church. She worked at the Credit Bureau in Hammond, Indiana for twenty years, and later worked as a dietician at Lebanon High School for many years. In addition to her parents, she was preceded in death by her husband of over sixty years, Charles William Maxwell on December 29, 2004; sister, Juanita Griffin; and a brother, Thomas Clay Fite. She is survived by two nephews, Clyde Smitty (Brenda) Griffin and Robert Cary (Debbie) Griffin; niece, Danita (Mike) Griffey; god child, Cindy Baker; sister in law, Betty Fite; several great nieces, great nephews, and cousins. Pallbearers: Christopher Baker, Lynn Doshier, Bart Griffin, Luke Griffin, Mike Petty, and Mark Maxwell.